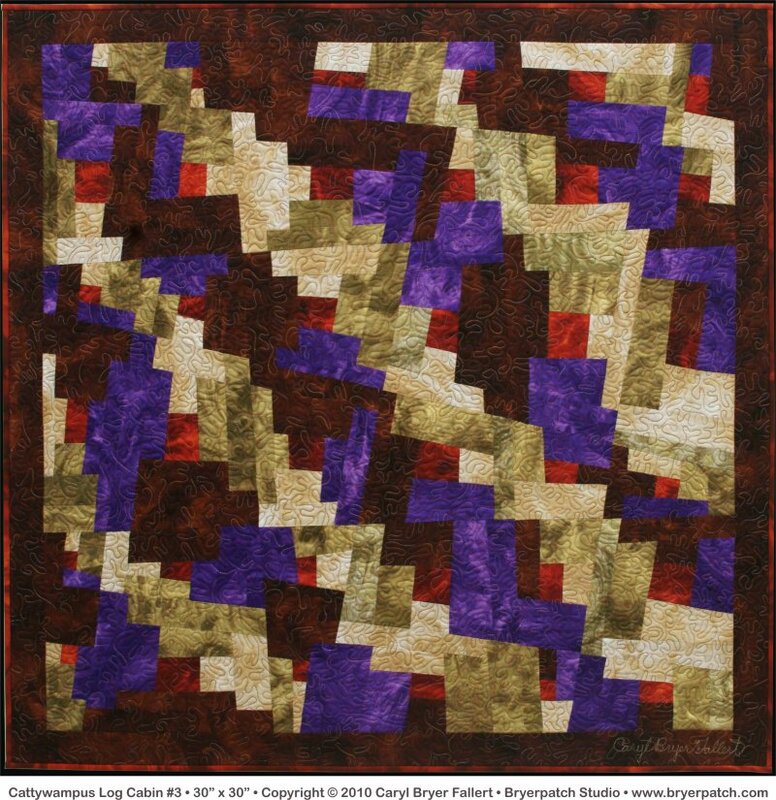 To see other quilts in this style, click here. 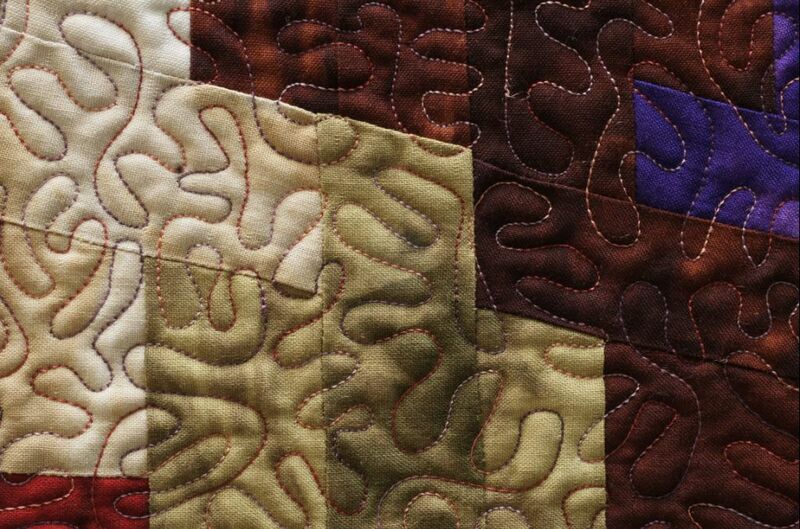 I have always loved traditional log cabin quilts, but wasn't interested in making one in a traditional way. 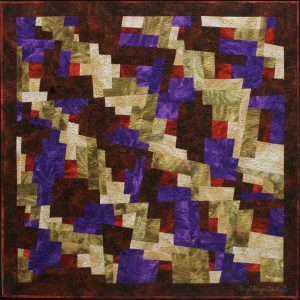 This quilt was constructed like a traditional log cabin except that none of the blocks are square. Instead of using a rectangular grid I drew lines at various angles so the blocks became quadralaterals of different sizes and shapes. Below are some basic instructions written for a workshop I taught in 2000, which will explain how the piecing was done. Click here for a higher resolution printable instructions. 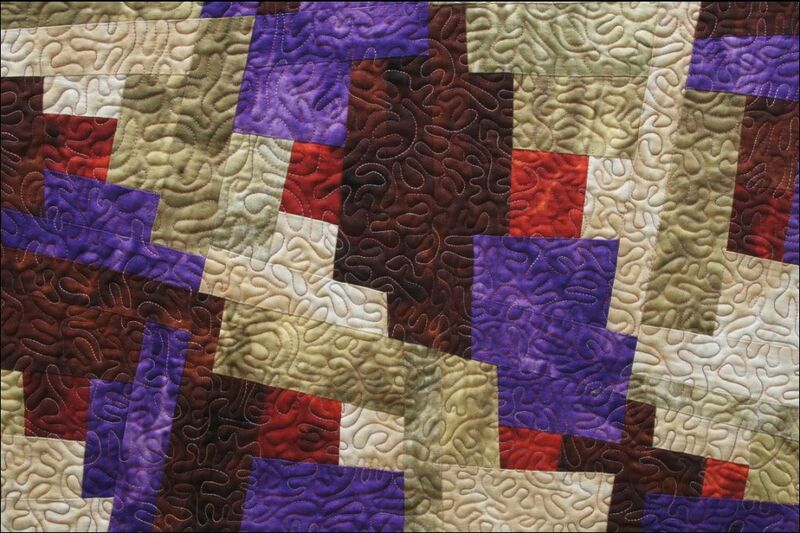 The fabrics used in this quilt are all from the "Atmosphere" collection, which I designed for Benartex.